We’re pleased to announce the Ableton Push Tour, a series of events showcasing the creative possibilities of our hardware instrument. Over the next few weeks these events will be taking place at dozens of locations worldwide – chances are, there will be one near you. More dates TBA over the next few weeks: watch our Facebook page for new dates. Each Push presentation will be led by a product specialist who will amaze and enlighten you with a detailed demonstration of what Push is capable of - including a first-hand look at the new melodic step sequencer, just announced for Live 9.1. 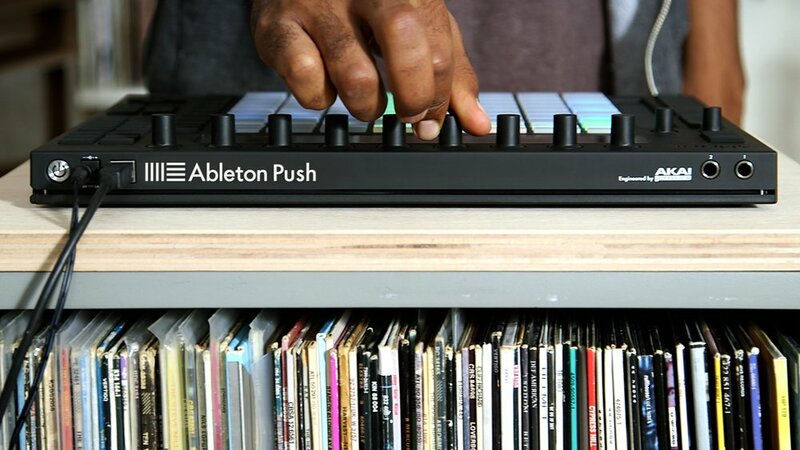 If you’ve never experienced Push first-hand, this is your chance to get up close and see how to make beats, compose melodies and harmonies, improvise with song structure and more. You’ll also be able to get your hands on one of our demo units and explore the creative possibilities of Push for yourself. Don’t miss this event and make sure you come early – the first 20 attendees at every Push Presentation receive a free Ableton tote bag. Address: SAE, 55 Wentworth Ave, Surry Hills. Presenters: Ableton Certified Trainers: Michel Sanchez-Infante, Menno Keij, Product Specialist: Antoon Vermeiren + Special Guest Pole Folder!